There are only a few projects that offer the number of benefits that getting new siding for your home can. It boosts energy saving, redefines exterior appeal, and greatly adds to its resale value. Of course these will depend on the type and caliber of the siding you choose. As the leading James Hardie® Elite Preferred Contractor in the Portland area, A Cut Above Exteriors offers beautiful and durable HardiePlank® siding, which comes in a variety of styles to completely redefine your home’s curb appeal. Easy Customization – HardiePlank siding is easy to customize such that we can craft it to mimic the appearance of everything from stucco to wood. Premium Protection – Fiber cement, the exclusive blend of materials that make up this siding is up to five times thicker than vinyl, so it stands up to snow, ice, and hail with ease. It is also resistant to fire, rot, and insects. Remarkable Elegance – HardiePlank boasts a graceful built-in pattern that can easily make your home the envy of the neighborhood. In addition, we will install it with exclusive PrimePlus® sealers and primer to provide a uniform coverage and excellent surface for painting. This way, you can paint it any shade you choose and it will hold its color without fading, chipping, or cracking. Low Maintenance – HardiePlank requires very little care to maintain its appeal. In most cases, a simple wash down with a garden hose every now and then is all you need to keep your facade looking neat and classy. Let A Cut Above Exteriors install HardiePlank siding for your home today. We back our services with a 30-year warranty for your peace of mind. 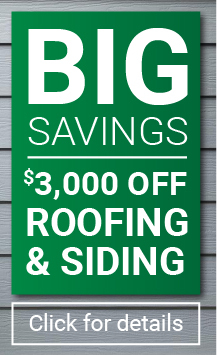 Call us at 503.334.0733 for a FREE estimate. You can also fill out our contact form and we’ll get back to you shortly.